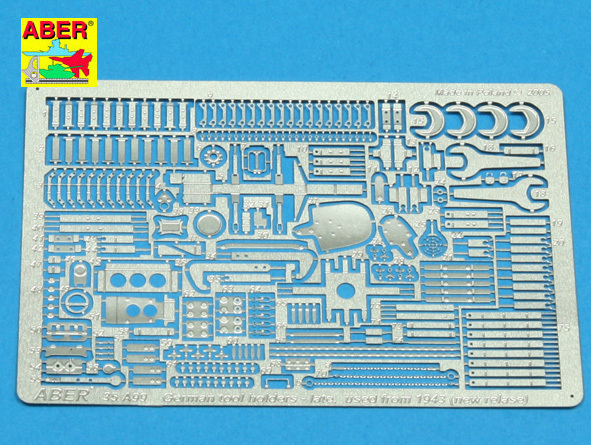 1/35 Photo Etch German Late Production Tool and Holder kit Discounts Apply ! Photo Etch German Late Production Tool and Holder kit - 1943 and on. Fits all 1/35 scale armor models.